Compiler is just like translator between programing language and machine language. It converts source written in programing language to executable instructions file for computer. For different programing languages different compilers are available. Compilers differs from operating system to operating system. 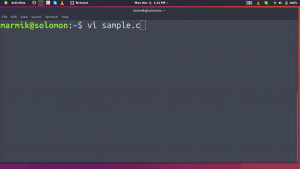 Compiling C program start with a text editor to write our C program like VI . It is generally inbuilt in Linux operating systems. By opening terminal in our system we start from there. 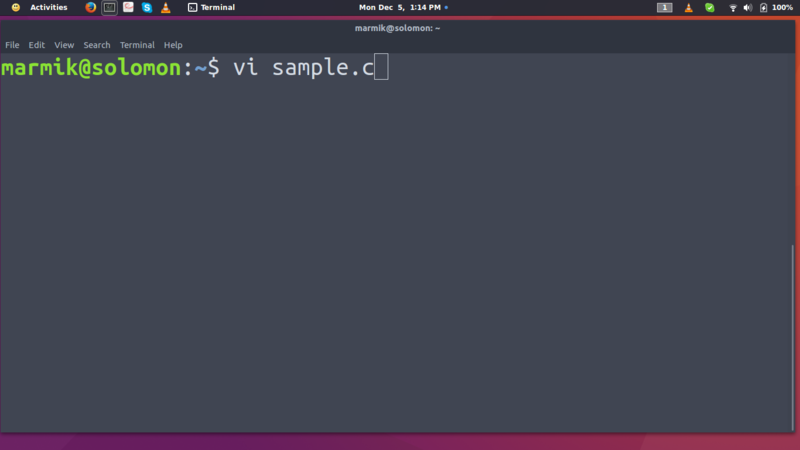 In terminal type: vi sample.c and Enter key. 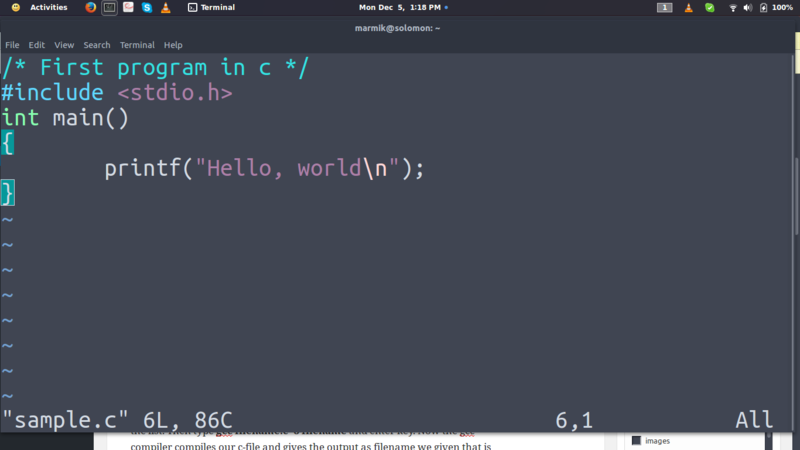 Then we enter in to vi text editor with our filename given. Now type a or i key to go in to insert mode. 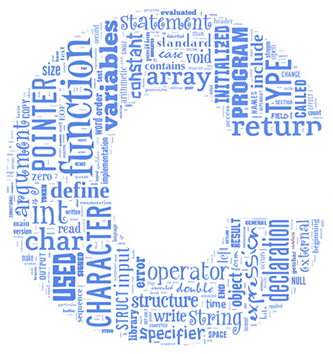 Then type our C program in it. After typing C program press Esc key,colon(:),w,q and Enter key respectively to save and exit from VI. Here is figure showing source code. Now we are in terminal again.Here we type ls command to see our saved file in the list. Then type gcc sample.c -o sample and enter key. Now the gcc compiler compiles our C file and gives the output as filename we given that is executable. If there are any mistakes or errors in the program the compiler gives warnings and error messages with line number to find out them easily, after correcting them compile once again. If it compiles successfully it gives executable file. To check that file we use ls command and see if it is. If it is, now type ./sample in terminal to execute it. 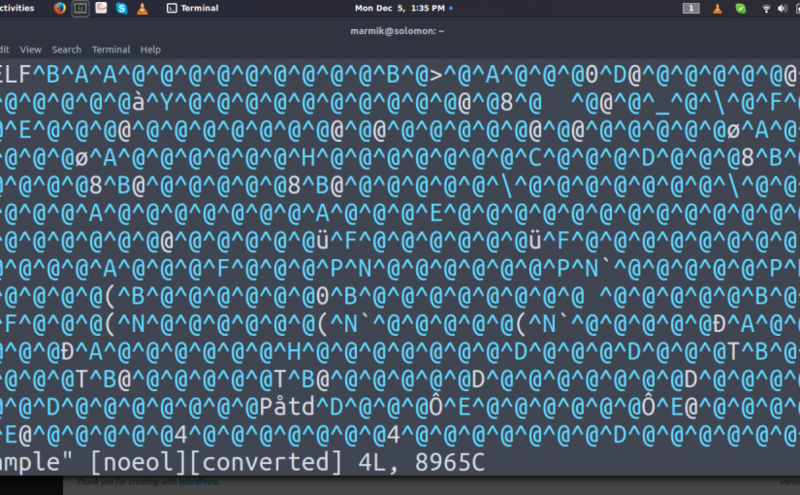 we see the result on terminal. Actually in compiling process preprocessor adds the necessary files those are included in C libraries. That we are listed in first of our program like <stdio.h> and some other files also generated by compiler . One of those file is object file. He said that is “Let Us C” written by” Yaswant Kanetkar“. It is good for me. 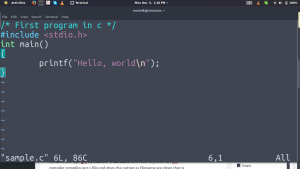 There is another book, that is “C The Programming Language” by Brian W. Kernighan and Dennis M.Ritchie . First I am started learning C with this book. The content in it is compatible with Linux, which is referred by One of my well – wisher. Are there exercises in “Let Us C”? So I suggest it for those who are like me in learning C-language. I am very Thankful to the Author of this book “Let Us C”, my friend who referred it for me and who given opportunity given to me share it with you. Posted on December 1, 2016 October 23, 2017 Author solomonCategories begginersTags beginner, c, newbieLeave a comment on Let Us C.